A male lion has a 20% chance of surviving from birth. When it matures it is either devoured by it's father or chased into enemy territory to survive on its own. It must then traverse through the roughest unclaimed territories until it is strong enough to take another Lion's pack in a fight to the death. If victorious - it will spend its life defending its territory and pack from challengers, surrounding packs, enemy predators and hunters. Conflict is how a Lion earns it's mane and pride. 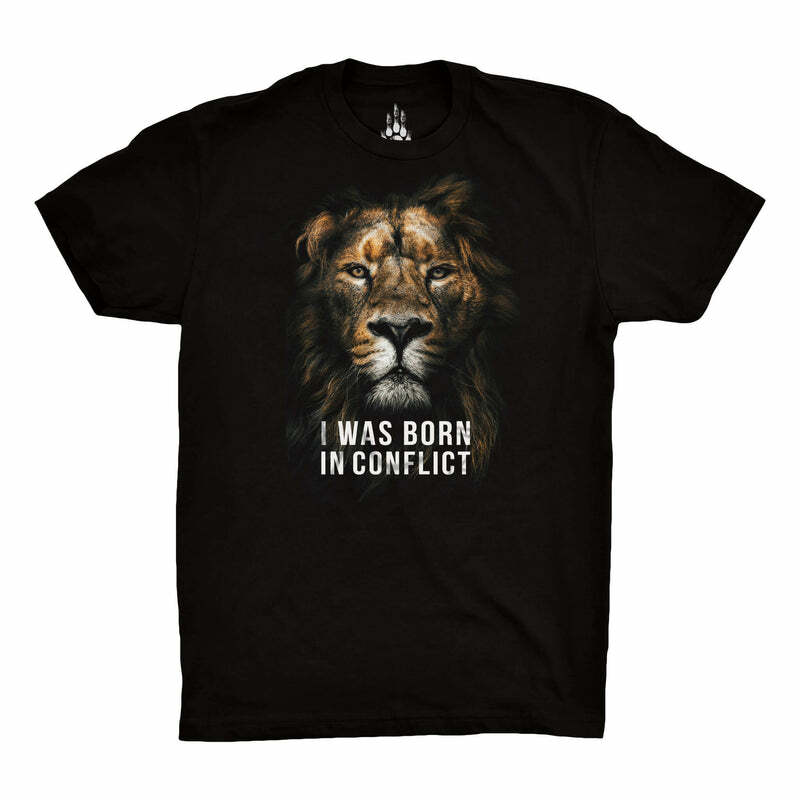 Conflict is where a Lion is Born.